Creedmoor Family Dentistry welcomes your entire family, but we recommend that children see a pediatric dentist until the ages of 8-13, depending on the child. Good oral health starts before your child’s first tooth appears. 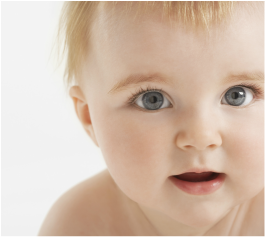 Babies have 20 primary teeth when they’re born and can develop cavities before they start to erupt. Putting your child to bed with a bottle, or sharing saliva by sharing spoons or cleaning a pacifier off in the mouth before giving it to your child, can spread the bacteria that causes caries, the disease that leads to cavities. Tooth decay is the number-one dental problem among young children – 1 out of 10 two year olds already have one or more cavities, and the rate rises to 28% of three year olds and nearly 50% of five year olds. You may assume that cavities in baby teeth aren’t serious, simply because they’ll be lost anyway. That’s not the truth. Dental decay in primary teeth can have a negative effect on permanent teeth and lead to more dental problems as your child grows older. You can still practice good oral hygiene with your baby, even if their teeth haven’t come in. Using a moist washcloth, wipe down your baby’s gums after they eat or drink. This will keep bacteria from forming on the gums and contributing to caries later. Once your child’s teeth come in, brush them twice a day with an infant toothbrush, with a bit of fluoride toothpaste the size of a grain of rice. Don’t let your child swallow the toothpaste. As more teeth come in and touch together, you can start flossing between them once a day. By age two, your child should learn to spit while brushing and use a pea-sized amount of toothpaste. You’ll still need to supervise your child to help them reach difficult areas and floss their teeth. Keep an eye out for brown areas or white spots on the teeth, which could be signs of early decay. A child’s diet is of key importance when it comes to oral hygiene. Limit their intake of starchy and sugary foods, as these produce plaque acids that cause tooth decay, and encourage them to eat more fruits and vegetables as well as healthy proteins and grains. Your child’s permanent teeth are at their most vulnerable when they first erupt – between the ages of 6 and 14. The best brushers and flossers sometimes can’t escape cavities or tooth decay, and Dr. Willis can help protect your child’s permanent teeth with the application of dental sealants and topical fluoride. Dental sealant is a resin that is applied to the back permanent teeth once they come in. A protective coating of dental sealant keeps bacteria from settling in the crevices of the molars. Dental sealants aren’t a replacement for brushing and flossing each day, however. ​Topical fluoride is used to harden tooth enamel and can be used on adults and children. 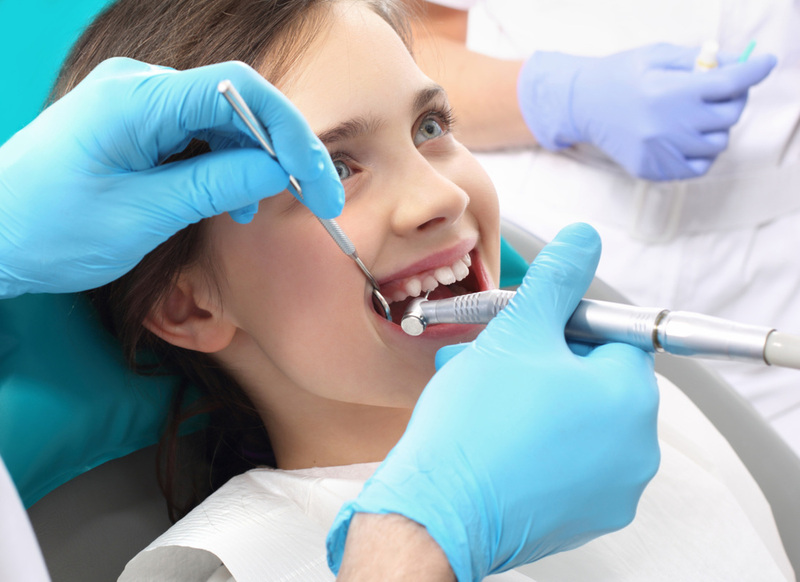 The dental hygienist or assistant will apply the fluoride to your child’s teeth in his office. It dries quickly and hardens once in contact with saliva, so your child can’t accidentally lick it off their teeth.